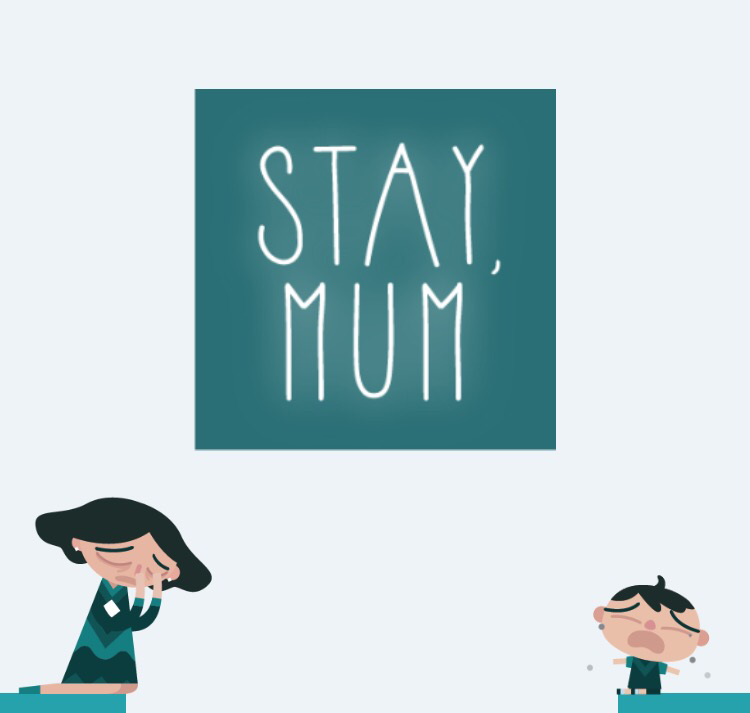 Lucid Labs’ Stay, Mum has a really sweet and heartfelt premise. 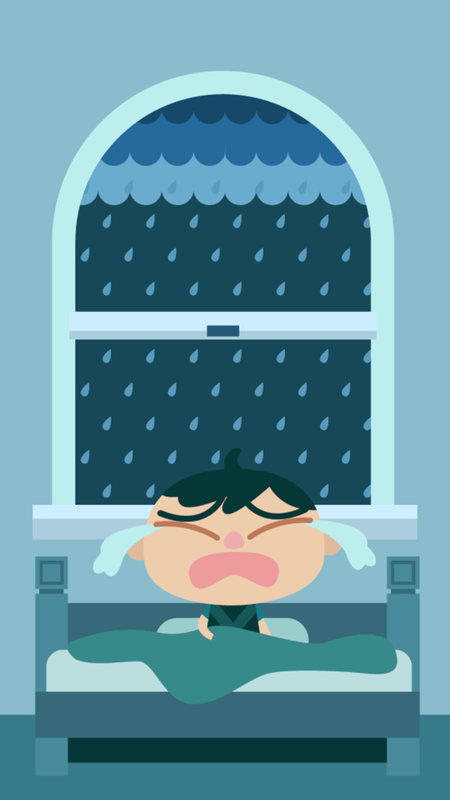 It’s about a little boy whose mom (or mum) keeps having to leave him, for what I assume is to go to her night job. There are no words, so you have to interpret the scenes on your own. To help him cope with their separation, she gives him blocks to play with. Each night, she gives him a new one, which he imagines as some creature. The art direction in the game looks great and is right up my alley. The emotional cutscenes between each chapter are sometimes sad, sometimes cheerful, but always feel sincere. There’s definitely the start of something great here. The problem is, the rest of the game doesn’t live up to the unique story and artwork. There isn’t much substance. It consists of fifty levels broken up into five chapters. 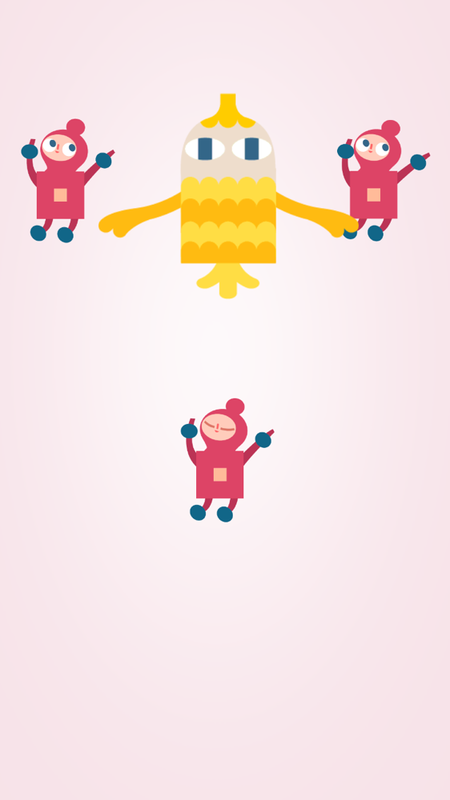 Each chapter introduces a new block, which appears on the screen first as an imaginary creature. 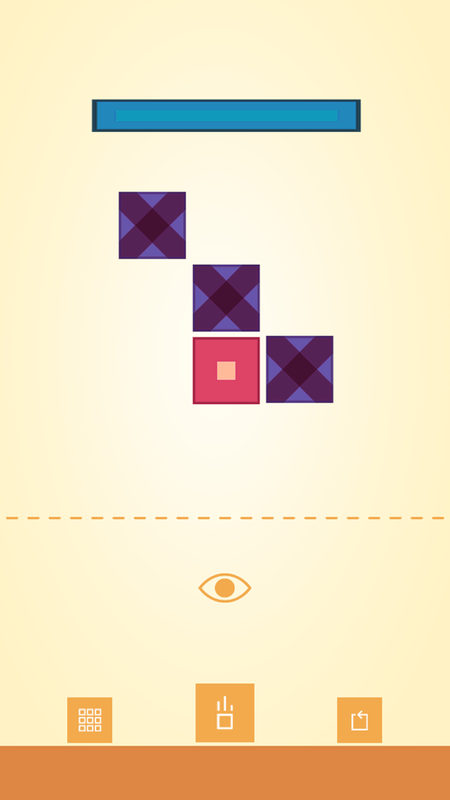 The game is a bit of a simplified Tangrams with blocks. 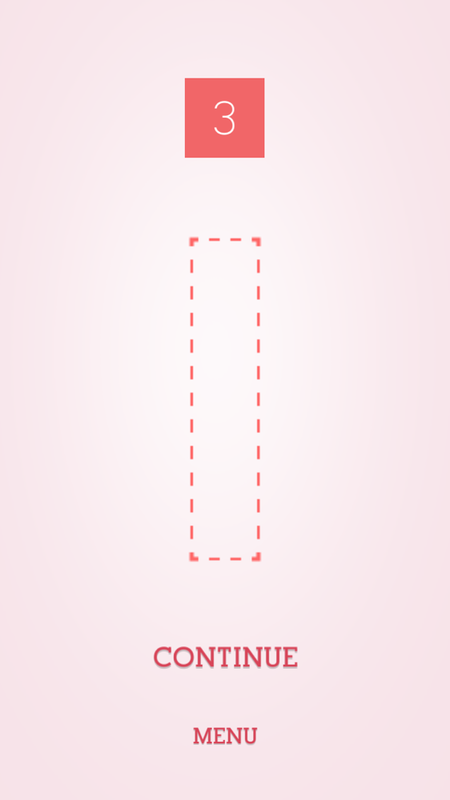 At the beginning of each level, you’re shown an outline of a shape. 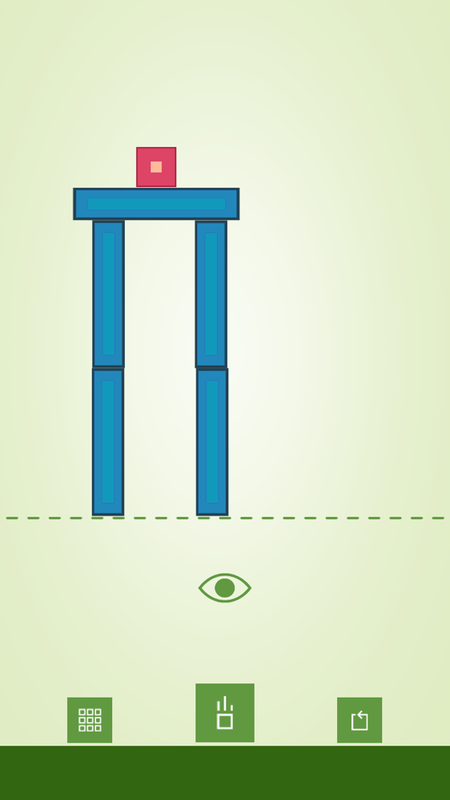 You then need to use the blocks in front of you to create that shape. And finally, you need to press the “gravity” button to drop them to the floor, hoping that they stay intact and don’t topple over. 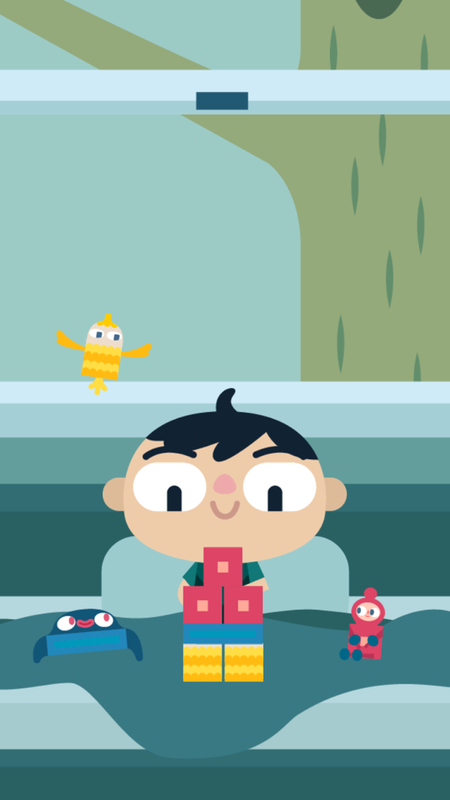 I have no idea why this kid is building his blocks in the air and then dropping them. I don’t think it’s ever really explained. Perhaps it’s to add some challenge to what otherwise wouldn’t really be much of a game at all. For the most part, the shapes are incredibly easy to form. 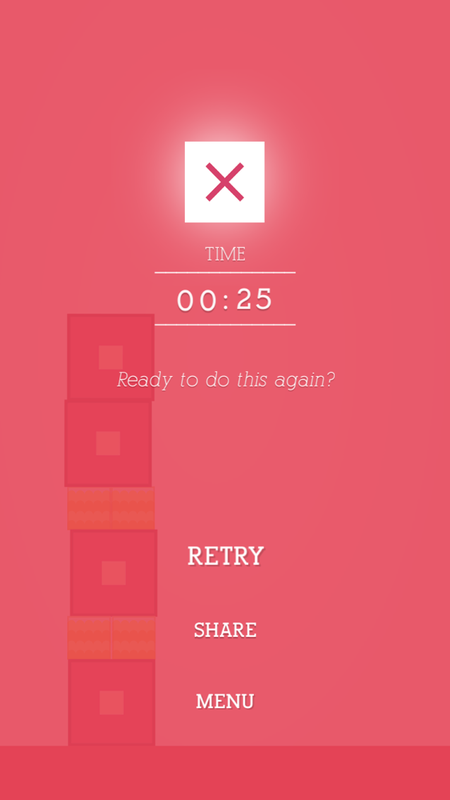 The only times I’ve failed a level is when dropping the blocks caused my structure to fall apart. But the problem is that the physics don’t really feel that tight. With the exception of one or two levels, I could usually repeat the level with almost the exact same setup that didn’t work the first time and it would work the second time around. The idea of an entire game of putting blocks together to make shapes already sounds like a pretty bland idea to me. 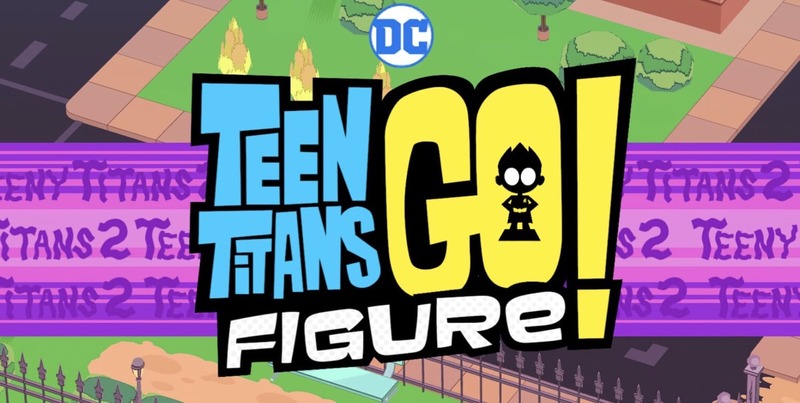 But I thought, “ok, maybe it’s just meant for little kids and I’m not the target audience.” So I reached out to the developers and they told me it’s meant for ages 12 to 35. So I am the target audience. And I’m actually a little insulted that someone thinks I’m this dumb. The actual game part of the game feels like it was just tacked on to fit the theme of the story, without really thinking about whether it’s enjoyable or stimulating or just worth playing. The idea of blocks taking on forms of creatures sounded like such a unique idea. I really wanted this to be something special. But I found it incredibly disappointing. The blocks themselves each have different properties. For instance, one floats off if it’s not weighed down by other blocks. Another can’t be moved, so other blocks have to be built around it. And another is two blocks that are attached but can be pulled apart to a certain distance. You would think that this could all lead to something interesting, but it never really feels like it gets away from being a tutorial. Even in the final chapter — which is supposed to be the most challenging — one of the levels begins in its ending position. I don’t know why anyone would design a puzzle this way. Besides that, there are some bugs with the game. I’ve reached out to the developer and they said these will be fixed in the next update.  But for now, know that one of the early levels is glitched. The game won’t accept it as completed no matter what I do. The shape below is what I was supposed to get, along with the failed result below it. No other levels required this precision. But it’s a bug that’s being fixed in an update. The other major bug is that once I completed a section, I couldn’t go back and play any of those levels again. Since each level has its own leaderboard where you can compete with others to finish a level fastest, it’s a pretty annoying bug. For the sections that still have at least one level unbeaten, I can replay any of the levels. But the sections I completed are all locked to me now. I can’t access them at all. There is also no way to reset the game in the settings and, since the game has iCloud, the only way I can replay anything at the moment is to delete it and shut off iCloud saves from my iPhone’s settings before reinstalling it. Not a great workaround. So if you do decide to play the game and you care at all about the leaderboards, you might want to keep one level incomplete for each section until you’re happy with your scores for the other levels. Just be prepared for it until it’s fixed. The game also does this silly thing where it sends you to the next section before showing you the final level of the previous section. I realized after I got to the end that there were some levels I was never even shown, even though I went in order. Very odd, and it could lead to players missing out on some of the game if they don’t notice it. It’s a minor issue among the others, but the final levels of each chapter are usually the most complex, so it makes the game seem even easier than it actually is. What it all comes down to is that, besides the gravity part, this game is a better fit for little kids than adults. The puzzles are simple and lacking in any real stimulation. The cutscenes are well done, but I was too insulted by the rest of the game to let myself get emotionally invested in the characters. I think they had a great idea going here, if only it had been more fleshed out. If you don’t mind that most of the game is too easy to provide any sort of challenge, and that the physics don’t work all that well, then by all means buy it. Perhaps the emotional story and artwork are enough for you. But for me, it was a giant disappointment. You can download the game here if it sounds like something you’d be interested in. I also made this video after I wrote this review. I shut off iCloud saves before downloading to my iPad so I could play from the beginning for it. And I quit on the second chapter because the physics weren’t behaving. Feel free to complain! I’m not a fan of the game, either.